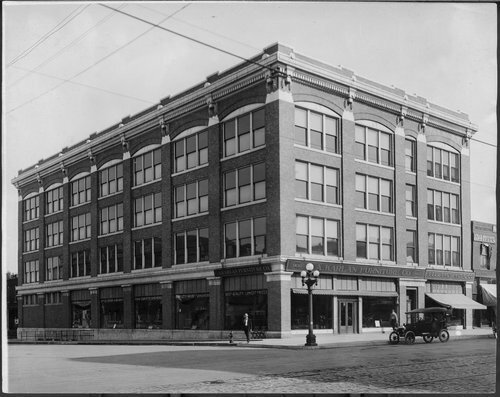 A photograph of the Gordon building, which housed the C. A. Karlan Furniture Company and Bell Bros. Music Company. It was located at 9th and Kansas Avenue, Topeka, Kansas. Also visible in the photograph is the office of Charles Bennett, Optician, and an automobile parked on Kansas Avenue.